Photo from the right to the left shows the "Chaoyang residents", "Xicheng Dama" (elderly women of Xicheng), "Haidian netizens", "Fengtai supervisor team" and "Volunteers as online police". 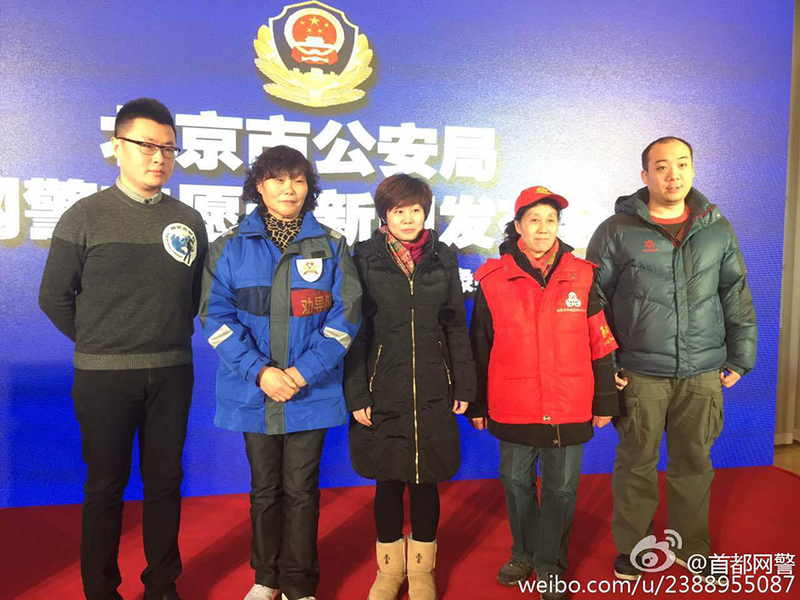 They made debut on Thursday at a press conference held by Beijing Public Security Bureau. They are volunteers who report clues to police and the top source of police's neighborhood intelligence.